2. One of the pinhead-sized depressed scars that develop after the pustule of acne, chickenpox, or smallpox (pockmark). 3. A sharp-pointed depression in the enamel surface of a tooth, due to faulty or incomplete calcification or formed at the confluent point of two or more lobes of enamel. 4. To indent, as by pressure of the finger on the edematous skin; to become indented, said of the edematous tissues when pressure is applied with the fingertip. 3. a small depression or fault in the dental enamel. 4. to indent, or to become and remain for a few minutes indented, by pressure. 5. a small depression in the nail plate. arm pit the axilla or axillary fossa. coated pits small clathrin-coated pits occurring in the plasma membrane of many cells and involved in receptor-mediated endocytosis. lens pit a pitlike depression in the ectoderm of the lens placode where the primordial lens is developing. olfactory pit the primordium of a nasal cavity. otic pit a depression appearing in each otic placode, marking the beginning of embryonic development of the internal ear. preauricular pit a small depression anterior to the helix of the ear, sometimes leading to a fistula or congenital preauricular cyst. 1. A natural hollow or depression in the body or an organ. 2. A small indented scar left in the skin by smallpox or other eruptive disease; a pockmark. 3. A sharp-pointed depression in the enamel surface of a tooth, caused by faulty or incomplete calcification or formed by the confluent point of two or more lobes of enamel. 1. To mark with cavities, depressions, or scars. Medtalk A dell that remains transiently in edematous skin and subcutaneous tissue after firm fingertip pressure Obstetrics Pitocin, see there. 1. Any natural depression on the surface of the body, such as the axilla (armpit). 3. A depression in the enamel surface of a tooth due to faulty or incomplete calcification or formed at the confluent point of two or more lobes of enamel. 4. To indent, as by pressure of the finger on the edematous skin; to become indented, said of the edematous tissues when pressure is made with the fingertip. 2. To be or become marked with a shallow depression; to cause a depression on pressure in edema. A pit that develops in the auditory placode. The inferior facet on the body of a thoracic vertebra. It articulates with the head of a rib. The depression on the skin of the embryonic head where the lens of the eye will develop. A minute depression at the anterior end of the primitive groove or streak and immediately posterior to the primitive knot. 1. Colloquial term for the depression at the end of the xiphoid process. 2. Colloquial term for the center of the abdominal region above the navel. a thin area of the cell wall in higher plants where no secondary wall develops. 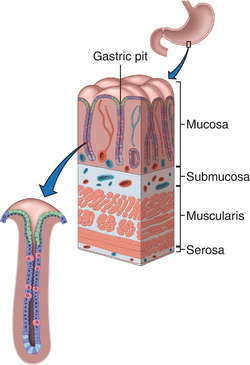 If two cells have pits in adjacent parts of the wall there are often fine protoplasmic connections called PLASMODESMATA between the cells. Sometimes pits have a more complex structure, as in the BORDERED PITS within the xylem of seed plants. 1. Sharp-pointed depression in enamel tooth surface, due to faulty or incomplete calcification or formed at confluent point of two or more lobes of enamel. 3. Pinhead-sized depressed scar that develops after pustule of acne, chickenpox, or smallpox (pockmark). n 1. a small depression in enamel, usually located in a developmental groove where two or more enamel lobes are joined. n 2. a depression in a restoration resulting from nonuniform density. n See cavity, pit and fissure. Q. What are the dentists going to do if I have Pit and fissure caries? I look at my teeth and i see tiny black stuff on the fissures of my molars. I am so freakin scared. Are the dentists going to do something painful? A. Well you will have to see a dentist if you want an answer on what kind of treatment they will offer you. Today dentists use good anesthesia so anything they will do is not supposed to be painful. Q. tender protuding lymph node lump rt. arm pit aprox. 1/2" dia. any concerns or recommend treatment necessary? A. lymph nodes can flare up any time you get infected in the armpit and all the area that it drains. i had it several times and it went away in the same manner that it came. i think that sometimes it caused because of a blockade done by deodorant. so i try to use this Chinese salt stone that doesn't contain aluminum. After the attack, one of the pit bulls escaped the enclosed area and was later located and euthanized. They have been unable to determine whether that arm ended up in the pit. The child's 28-year-old father was bitten in the face by the pit bull as he pried the animal off the little girl. Washington, July 18 ( ANI ): According to the new observations from NASA's Lunar Reconnaissance Orbiter (LRO) spacecraft, there are over 200 lunar pits that could provide shelter to the future astronauts. Nutrition Pit sells a wide variety of supplements and apparel for body builders and athletes. Pit bull horror stories abound, so it's perhaps not all that surprising that the shelters have so many of them. In the dogs' homeland, Great Britain, pit bulls have been outlawed since 1991. Children 12and younger are admitted in the pits free with a ticketed adult. The Hollinger mine operated underground from 1909 to 1968, and again in the '80s with limited underground mining and several small surface open pits. A sealant is defined as an organic polymer (resin) that flows into the pit or fissure, and bonds to the enamel surface. Jose Luiz Sanches, a former pit trader, slides up to the microphone at the podium, front and center, below the electronic board, to announce the main attraction--a three-dimensional documentary about the stock market and how it works.